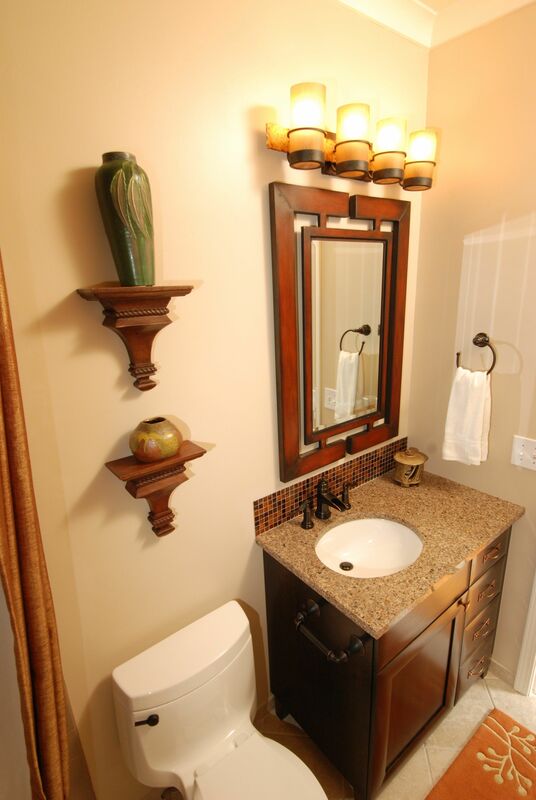 The renovated powder room showing the new vanity. Even in the small space we were able to add a few drawers and improve storage. The room has an eclectic feel with different finishes and accessories. 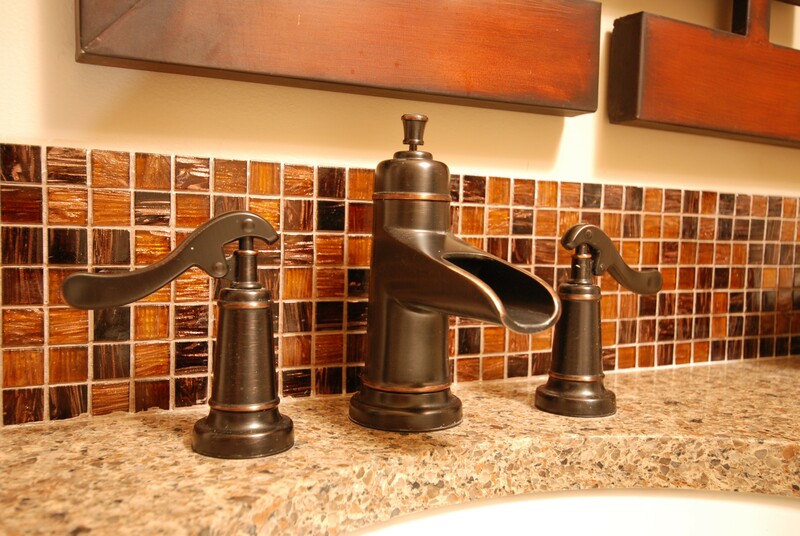 The faucet and glass back splash – it’s something that’s a little different and perfect for a powder room. 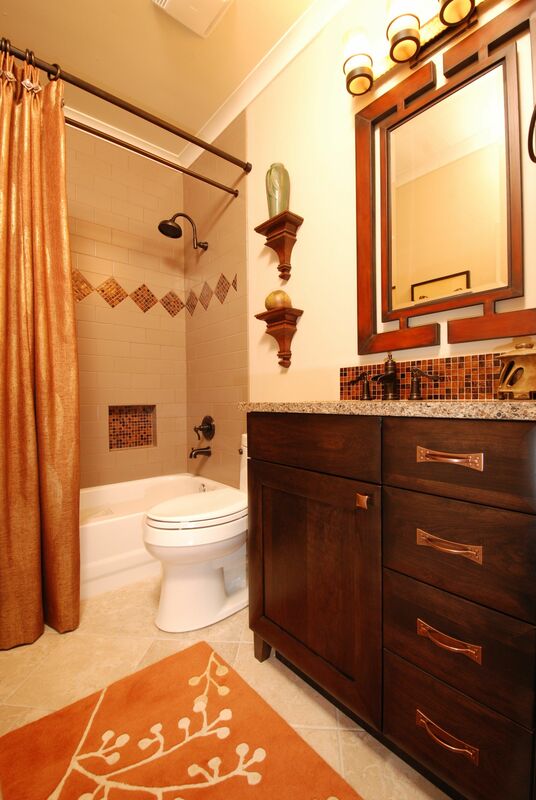 The finished powder room showing the accessories in the room. 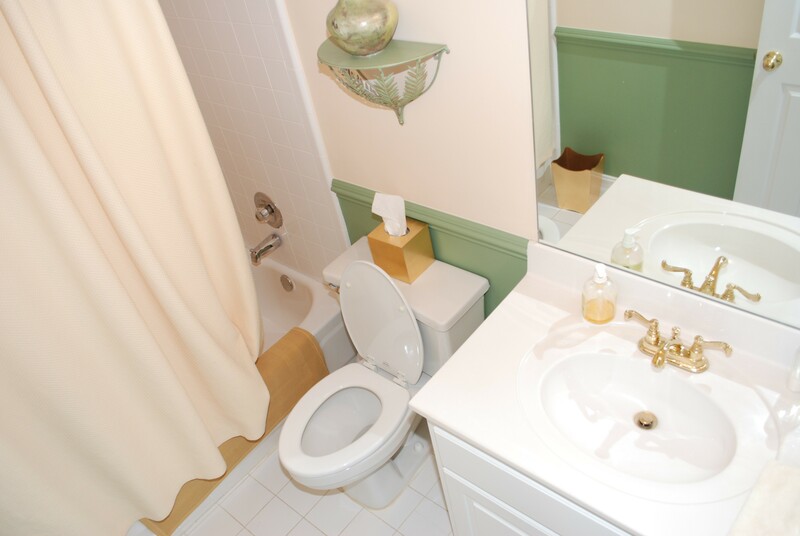 The powder room before the renovation. It was the standard white tile with white cabinets and white counter tops. 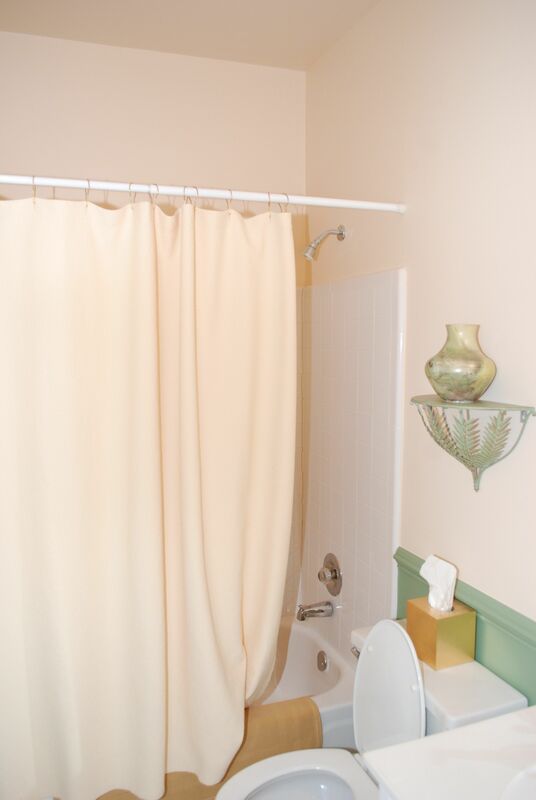 The original bathroom has nothing to grab someone’s attention.